With special mantras and secret emblems written, this feng shui life force amulet is specially designed to boost energies, better one's life force and bring him cosmic fortune. Double dorje is a wonderful protection amulet against physical dangers. Dorje means "noble stone" in Tibetan, and signifies the immense beauty and illumination of the source of power of divinity. The double dorje has the power of protection and positive livelihood. 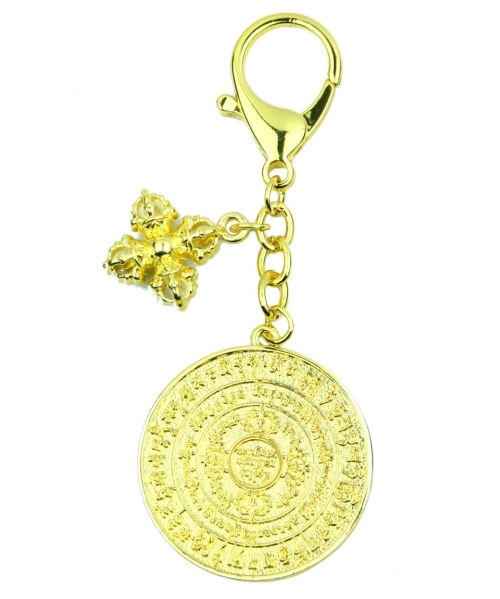 The dimension of Life Force Chakra Energizer with Double Dorje amulet is approx. 4.5" x 1.75" x 0.125". It is made of alloy.